Mumbai : Bharti Airtel is currently trading at Rs. 347.95, up by 6.40 points or 1.87% from its previous closing of Rs. 341.55 on the BSE. The scrip opened at Rs. 346.45 and has touched a high and low of Rs. 348.25 and Rs. 334.65 respectively. So far 299320 shares were traded on the counter. The BSE group ‘A’ stock of face value Rs. 5 has touched a 52 week high of Rs. 427.00 on 25-Apr-2018 and a 52 week low of Rs. 277.00 on 22-Oct-2018. Last one week high and low of the scrip stood at Rs. 363.95 and Rs. 334.65 respectively. The current market cap of the company is Rs. 138609.85 crore. The promoters holding in the company stood at 67.14%, while Institutions and Non-Institutions held 30.86% and 2.00% respectively. 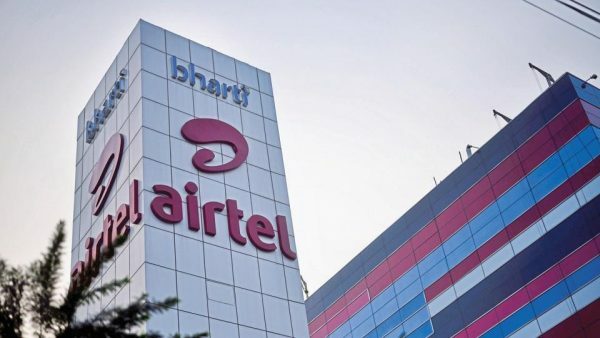 Bharti Airtel and Cisco have entered into an alliance to offer advanced networking and connectivity solutions to enterprise and SMB customers in India. This partnership will leverage company’s deep customer relationships and network to offer highly secure and cutting-edge digitization technology from Cisco in India. As part of the partnership, the company will offer Managed Software-Defined Wide Area Network (SD-WAN) services in collaboration with Cisco. Built on the Cisco-Viptela platform, company’s Managed SD-WAN service will provide real-time analytics and in-built security. This solution will also have a centralized policy, and a management controller that will provide customers with a clear view of data flows across their networks and enable them to optimize data traffic to suit their business needs. The fully managed, resilient and dynamic central platform will help businesses reduce networking capex and lower migration issues during the transition of applications and data to the Cloud. Bharti Airtel is a leading integrated telecommunications company with operations across Asia and Africa. The post Bharti Airtel rings loud on entering into strategic alliance with Cisco appeared first on Udaipur News | Udaipur Latest News | udaipur local news.